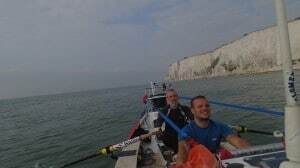 Team Hallin’s Round GB 2013 Rowing Race team, consisting of David Hosking, Neil Ward, Julian Bellido and Stuart Chamberlayne, would like to thank our family, friends, sponsors and supporters for all their much-needed assistance over the last week of the GB Row 2013. 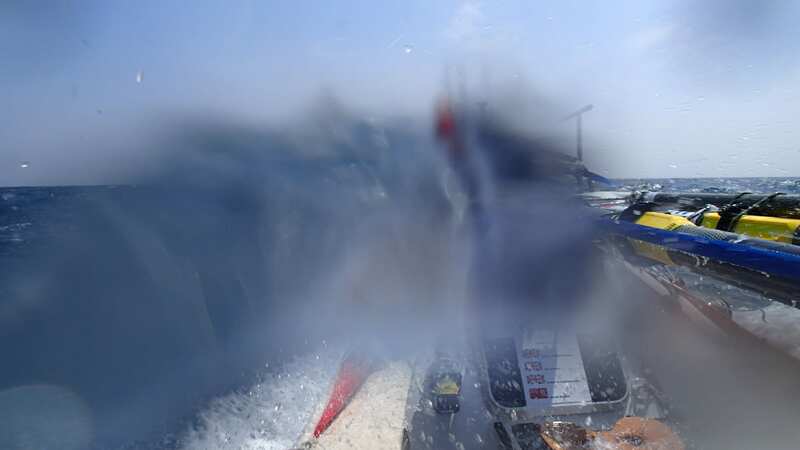 Unfortunately, we had to retire from the race after being taken in tow off Land’s End after suffering steering problems compounded by 30 knot headwinds and a foul tide. We are sorry not to have finished the race but given the weather forecast of strong E/NE winds for at least three days we did not believe our anchor rope would have lasted that amount of time given it was chaffing on the sea bed rocks below. If it had parted, we would have very quickly found ourselves swept into the Longships rocks only a few hundred yards away. As such, the only safe option was to seek a tow to safety in Penzance. Team Hallin would like to thank our many sponsors for their support to this campaign and special thanks go to John Giddens and Hallin Marine Subsea Services for being fantastic corporate main sponsors to Team Hallin. I would also like to thank our great shore support team who helped us out whilst we were at sea: Richard Hosking [for his weather and tactical advice], Louise Hosking [for keeping family and friends informed on the progress of the team], Tom Elliott [for keeping the website, blog, Facebook and Twitter pages updated on a daily basis] and Dr Ben Phillips [who thankfully was not called upon to give the team medical advice]. I am also most grateful for the tremendous support given to me from Charterhouse School Boat Club members and their parents. 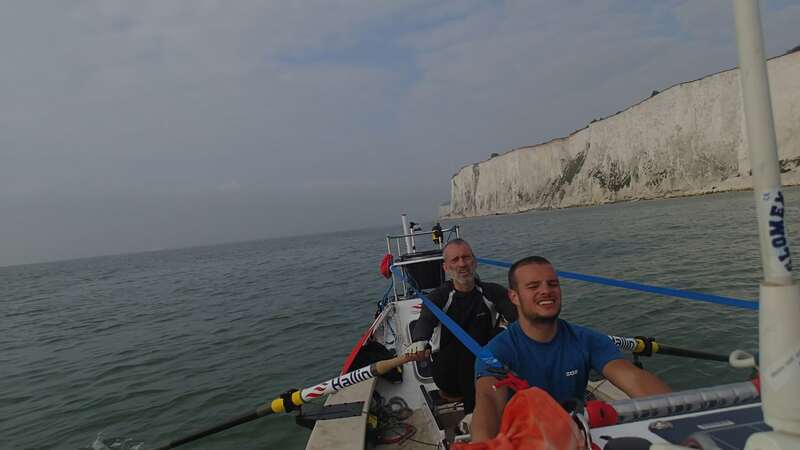 I would also like to thank Sam Bishop for giving up a whole day to drive my trailer from Surrey to Penzance to collect the boat and then drive back in the rush hour Friday traffic – over thirteen hours on the road plus a day off his own rowing training. Finally, as Skipper of the team, I would like to publicly thank my great crew of Neil, Julian and Stu who have followed my very demanding training plan for the last twelve months. They have done everything that I asked of them in the build-up to the Race and they all pushed themselves hard during the Race itself. I hope that they will continue to seek further challenges to push themselves in the future.